For most businesses, a traditional interactive voice response (IVR) is a one-size-fits-all approach that usually falls short of customer expectations. It’s cumbersome to manage, with long and expensive cycles for simple updates. It’s also known for its negative impact on customer satisfaction scores and ultimately, loyalty. How much is it costing your business? 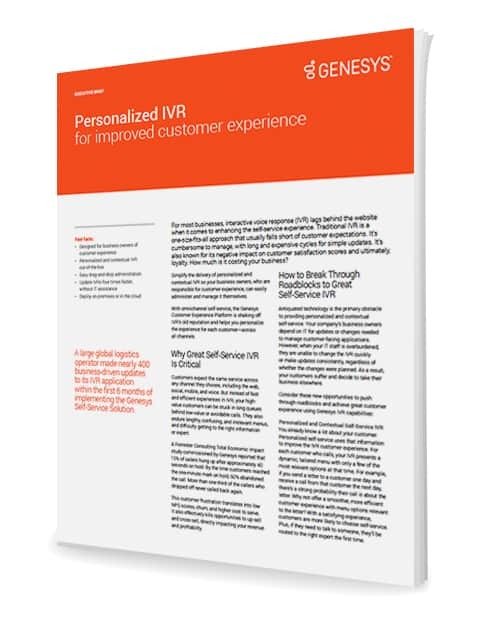 Download the executive brief and learn how to make self-service IVR the foundation of your omnichannel strategy.